Why do I see the YouTube Logo on my videos? 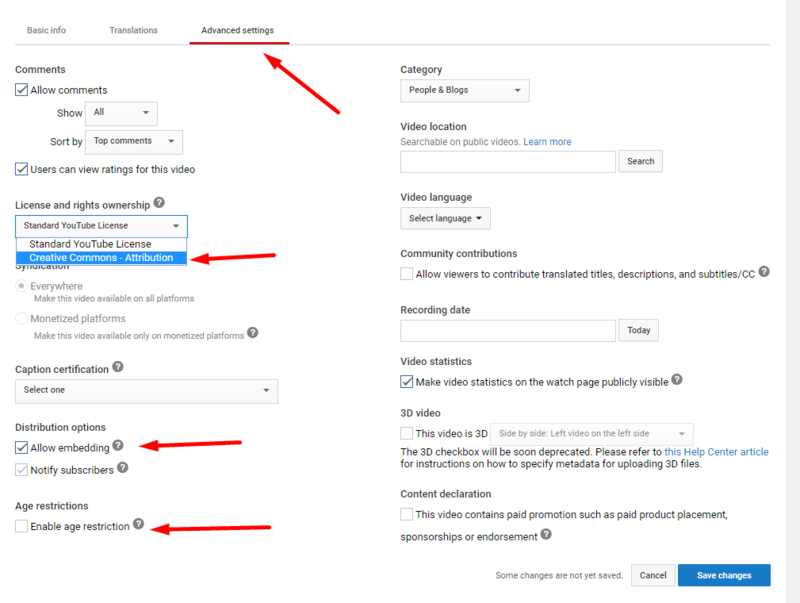 If you are seeing the YouTube logo on your video and/or related YouTube videos showing at the end of your video, this is happening because of the settings of that particular video inside of YouTube. You will need to log into that YouTube account and check the settings of that video. Here is a list of the specific settings you will need to check. The logo and related videos could be shown due to just one or all of these settings so please check all of them. The video you chose has Enabled age restriction - If age restriction is Enabled, you'll need to Disable that. YouTube has declared copyrights for the video ( i.e. If you chose a music video that someone has signed copyrights to, or any other famous video presentation ) - In this case there is nothing you can do. For more information on using vooPlayer or YouTube and to find out why vooPlayer should be your preferred player on your website, please read this post on our blog.